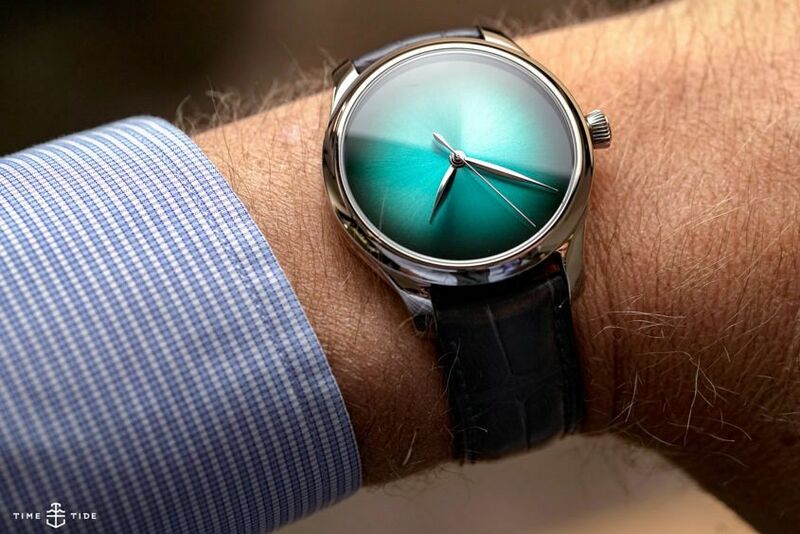 Move over Brooke Shields, the Blue Lagoon has a new star – Moser’s Endeavour Centre Seconds Concept Blue Lagoon. And, as with all of Moser’s concept line of watches, there’s almost nothing to get in the way of the typically excellent fumé dial. The Blue Lagoon takes its name from the dial colour which, like all of Moser’s watches, is rather difficult to fully capture on film. It’s iridescent, vivid and compelling. 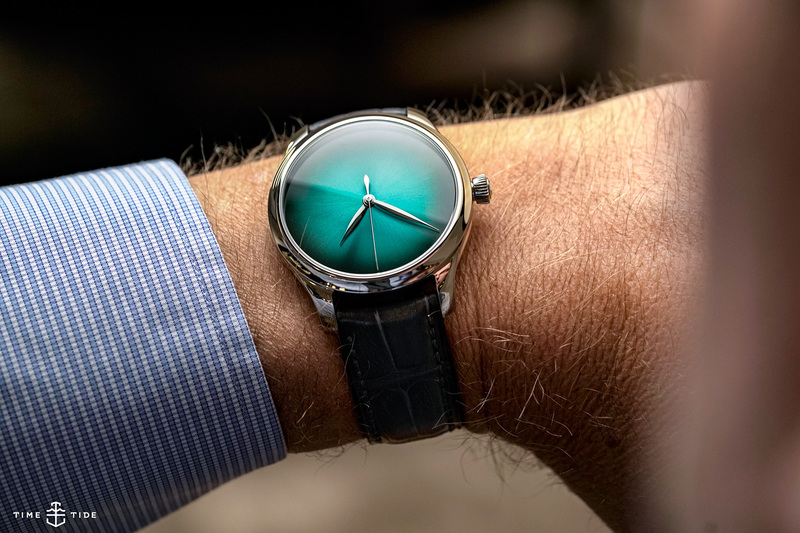 It’s also a very greenish blue, which sits in the middle of Moser’s mild-to-wild spectrum of dial colours. And that, at least to my mind, is just the right place to be. 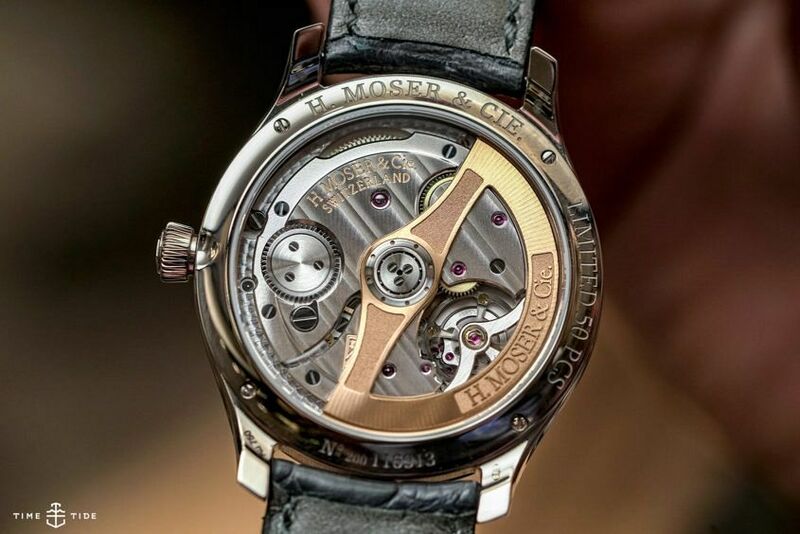 Now, this watch isn’t as wilfully obtuse as their masterful Swiss Alp Minute Repeater — here you get hands (three of them) — more than enough to let you tell the hours, minutes and seconds. 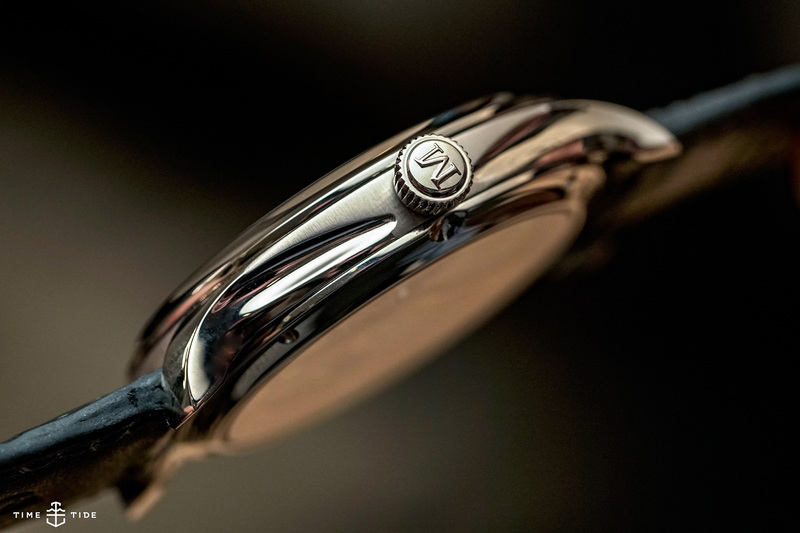 This version is a white gold case (there’s also a red gold option if you’re so inclined) and clocks in at a respectable 40mm x 10.7mm, in the simple-yet-complex Endeavour case, with its fancy case profile and Moser’s typical grippy, ergonomic crown. Flip it over and you’re treated to an uninterrupted view of the HMC 200, Moser’s sturdy automatic that’s nicely finished, all the way down to the open-worked gold rotor. Both red and white gold versions are limited to 50 units each.